French student in journalism, communication and media doing an Erasmus semester in Wroclaw. 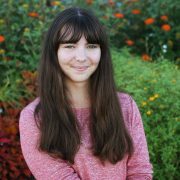 After an internship in journalism in a local newspaper in France, Marie wants to enrich her professional experience and rise to a challenge joining the Wroclaw Uncut’s team. Charlotte Restaurant, A Taste Of France In Wroclaw?